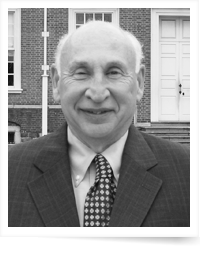 Sherman Hillelson has been a business broker in Philadelphia and consultant for more than 25 years. During this time he has helped his loyal customer base of small business owners buy and sell hundreds of businesses, in various industries and of various sizes. The types of businesses he has transacted upon are represented from traditional mom & pop retail outlets to international franchises to multi-million dollar manufacturing and distribution companies. Chances are if it is a business that is for sale in the Delaware Valley, Sherman knows about it. As a consultant, Sherman has helped entrepreneurs in many areas including obtaining financing, negotiating leases, and aiding legal and transitional issues associated with small business. During his free time Sherman enjoys spending time with his family especially, his granddaughter Chloe. Sherman received a degree in Business Marketing from the University of Cincinnati.